Wine: Screw caps make more inroads are corks out? Have screw caps reached a tippling point in their quest for acceptability? The metal wine bottle closure has become increasingly common over the past decade, as winemakers abandoned corks out of concern that “cork taint” (that moldy-basement smell you sometimes find in wine) was ruining too many bottles. The cork industry fought back, improving quality control to limit, if not entirely eliminate, the taint problem and arguing that cork is the only “natural” wine bottle closure. Even among many of their adher ents, however, screw caps found only limited acceptance. It is not uncommon for wineries to put some of their white wines and rosés under screw cap while continuing to use corks for weightier whites (such as oak-aged chardonnay) and red wines. 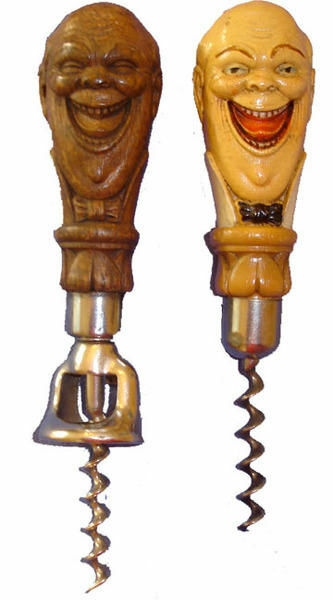 Their reasoning is that screw caps are ideal for preserving a wine’s freshness over the short term because they prevent premature oxidation. However, long-term aging requires some oxygen to penetrate to the wine, and screw caps — being relatively new — did not have a track record in that regard. So cork remains the preferred closure for wines destined for your cellar. That might be changing. This summer, Hogue Cellars, Washington state’s fourth-largest winery, published the results of a five-year study that compared various bottle closures for three of its wines. More than 3,200 bottles were tasted. Hogue’s 2004 fumé blanc, using 10 different closures, was evaluated every four months for three years; the 2004 merlot and 2003 Genesis Merlot (a reserve bottling), under nine closure types, were tasted every 12 months for five years. The tasters concluded that high-quality natural cork preserved the wine’s fruit and offered a steady avenue for oxygen to get to the wine; however, there was great bottle-to-bottle variation. Wines sealed with synthetic corks tended to oxidize more rapidly than other samples, which has been a complaint about plastic corks for years. focused on the liners inside the caps; it’s the liners that actually touch the wine. The Hogue study used screw caps with several types of liners. 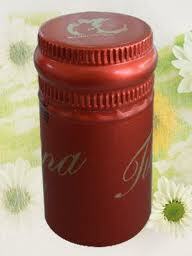 Those with aluminum or tin liners yielded wines with reductive qualities: flinty, smoky, gunpowder smells and flavors. 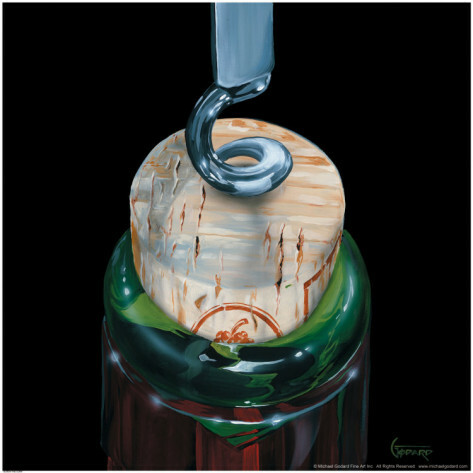 (That is a common complaint about screw caps, and winemakers respond by reducing the use of sulfur at bottling or adjusting the wine’s exposure to oxygen.) Screw caps using an experimental polymer liner designed to allow greater oxygen exposure to the contents yielded wines with dried-fruit flavors and other signs of oxidation. But caps lined with Saranex, a layered polyethylene that is slightly permeable to oxygen (think Saran Wrap — not identical, but similar), preserved the wine’s fruit and aromas without excessive sulfur smells and allowed some oxygen into the wine. Hogue, which had moved most of its production to screw cap in 2004 after achieving similar results in a more narrow study, announced that it would now bottle its entire production under Saranex-lined screw caps. Hogue is not the first winery to move entirely to screw caps, of course. Two prominent Virginia producers, Tarara Winery in Loudoun County and Blenheim Vineyards near Charlottesville, made the switch for their entire production over the past few years. Winemaker Jordan Harris of Tarara said he didn’t need the Hogue study to convince him that screw caps are the best closure for young wines as well as those intended to age. “Our reasoning was simply that any percentage of wine flawed by the closure was too many and unacceptable,” he wrote in an e-mail. And what about fears that consumers view screw caps as appropriate only for inexpensive wines? “We do not believe the closure should or really does have much bearing at all on consumer perception, and we find it the best closure, period,” Harris said. This entry was posted in General, Magazines and Books wine related. Bookmark the permalink.